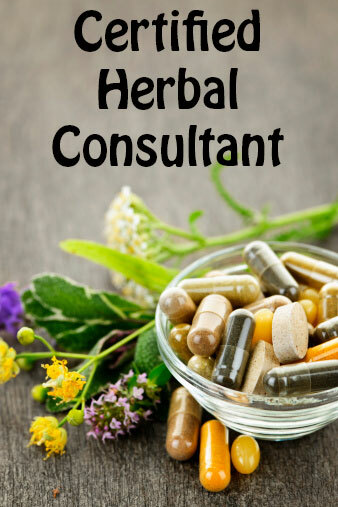 The Certified Herbal Consultant program is a series of eight courses offered by the School of Modern Herbal Medicine to give people the knowledge they need to use commercial herbal products and nutritional supplements effectively and to help others improve their health. The program is built on a cohesive understanding of health and disease which teaches people to look at constitutional factors, root causes, biological terrain and body systems rather than specific diseases or disease symptoms. Students learn the basic principles of natural healing and how to Activate the body's healing energies, Build the body with good nutrition and Cleanse (or detoxify) the body to promote health. They also learn how to select Direct Aids to balance the biological terrain and support weakened body systems. This is known as the ABC+D Approach to Natural Healing. Students learn muscle response testing, basic tongue and pulse analysis, and glandular body typing.